I’m not one to normally write about anything related to sites suffering Google penalty issues – most SEOs will tell you it feels more than a little wrong. However this is a big penalty, and seems to be coinciding with a noticeable increase in larger corporate sites being hit recently. 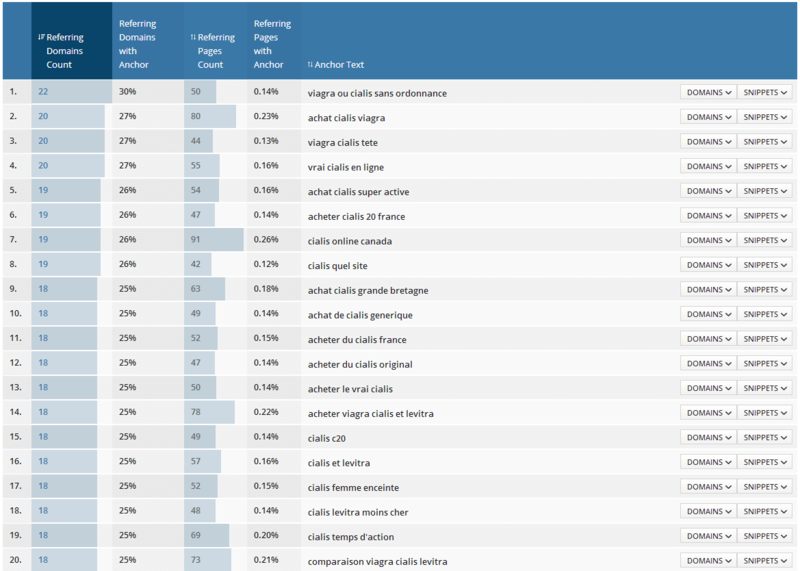 According to today’s Search Metrics UK winners and losers report, LastMinute.com have been hit by a 46% fall in organic visibility, from 244,640 to 132,607. LastMinute.com still have the number 1 position for their branded terms, as well as some great rankings on terms like [hotels london] (#1) and [cheap hotels] (#1). However they have lost out on some very high traffic terms, including big falls on [flights], [cheap flights], [restaurants] and [hotels]. As pointed out by Ragil Pembayun, the [restaurants] term alone had a huge 1 million+ search volume. Looking at LastMinute.com’s links, they don’t seem too bad initially. One dodgy link popped up straight away. A potential issue could be the array of branded microsites placed on the subdomains of other websites – which have not been noindexed, and contain followed commercial anchor text links back to LastMinute.com. It doesn’t seem too bad, but may have been enough to cause issues. It is pretty clear that LastMinute.com have been hit by a manual penalty. We will most likely find out more details over the next few days and weeks. After the Irwin Mitchell debacle of late it will be interesting to see how it is handled. Whether it caused the problem or not, it appears LastMinute.com may have been the victim of a fairly severe negative SEO attack. Filtering the anchor text links for typical spam terms reveals a huge amount of dodgy links using some very nasty pharma keywords. As pointed out by Jan Leonhardt, the SEO attack spanned over a whopping 400k pages according to Ahrefs data, creating a sharp increase in links in September ’13. 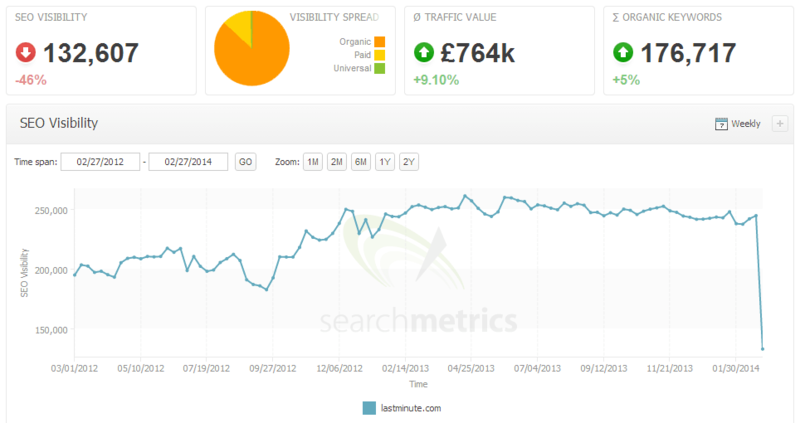 It looks like LastMinute.com have recovered the vast majority of their traffic loss – as of today’s report they are back up to 234,452 organic visibility in Search Metrics – which is only a 4% net loss from their pre-drop figures of 244,640.